As the dust settled, Poe pulled herself up on one hand, and wiped off a trickle of blood moving from her mouth to her chin with the other. Poe whipped out one foot and caught Lunacy behind the knees, off balance Lunacy hit hard when her knees were hit again. Poe took a breath and rotated her arm around for a second, then shanking it out. Lunacy struggled to her feet. Still in a prone position, Poe spit a glob of spit blood across the room, following it up with one fluid motion. Her leg swung back, around and then flew forward. On the height its arc Poe’s foot caught Lunacy full force upside the head. Lunacy’s head flew away pulling her body behind it like a streamer attached to a child’s ball. Lunacy flipped over as her head slammed into the ground with a solid crack. She did not get right up. Grunting, Poe stood up. Never taking her eyes off of Lunacy’s prone form. Egyptian beaches were being terrorized by a series of shark attacks. 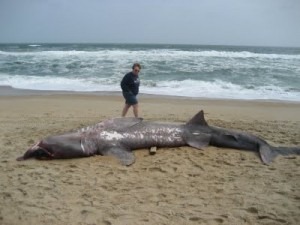 According to some reports, it was supposedly an Israeli trained attack shark. But, the terror is over after the shark was slain by a drunken Serb, who literally jumped the shark. Pure awesomeness. This would be funny if it was not sooo painfully sad. making 1 gallon of ethanol uses the equivalent of about 1-1/3 gallons of oil. Just a reminder to anyone designing an interface: if the entire goal of your interface is to integrate with the Windows Explorer Shell you have failed. The windows shell is a disaster and anything you do will only make it worse, trust me. Please TortoiseSVN, try harder. Good job on some nice GUI pieces, boo on making me use the explorer and double boo for having a painful command line interface to those tools. As another reminder, and you recline the seat back as far as it goes, there is a special hell reserved just for you. I have a new love of source control, GIT. It is a bit of a strange head twist to get into it, don’t know if I am there yet, but it has the best tool ever for managing merges you can sync to a point on a tree and then cherry pick each change you want and then apply all of them. Basically, it would make moving changes from one branch to another a snap. If I had had this back in the MS days I would have a month or two of my life back.